To provide my patients with the highest quality healthcare - this is the motto by which Dr. Valsala.P of Chennai lives by. She is a reputed ayurvedic specialist with over three decades of experience in her field. A BAMS from the GOVT AYURVEDA COLLEGE TRIVANDRUM, Dr. Valsala.P constantly tries to embark on new advances and healthcare development so that she can keep up to date with the latest healthcare technologies. Though she specializes in Ayurveda, her other services include Anti Ageing Treatment, Chemical Peels Treatment, Chin reduction Treatment, Acne and Allergy treatment. She is also a well-known Panchakarma specialist. Dr. Valsala.P ensures that she approaches her patients professionally and she imparts the treatment after a detailed consultation with them. She also makes sure that they understand the procedures and most of her treatment plans can be customized as per the individual's requirement. Her professional opinions are sought after by many of his peers and she is one of the highest rated Ayurveda practitioners of Neyveli, Chennai- Tamilnadu. She is well versed in English and charges INR 200 for a clinical visit. With Dr. Valsala.P's patience and dedication, you can rest assured that your ailments would be taken care of professionally. Her appointments can be easily booked online if you are from Neyveli, Chennai. It was a bad case of erectile dysfunction. She is so pleasant to talk to and always ready to answer your doubts. One of my cousin's referred to Dr Valsala.P. All the staff members were very helpful. My problem was such that it required a number of sessions, and I must say after all the sessions, I am feeling much better now. The overall outlook of the Dr Valsala P Ayurvedic Clinic was very nice. I am so much benefitted with her treatment, that i am perfectly fine now. The guidance of Dr Valsala.P gave me has helped me immensely with my situation. It was a bad case of masturbation addiction. She is very patient with all her patients. But I am so happy that I chose Dr Valsala for my treatment as now I am perfectly fine. I was amazed that other doctors before him were not able to even diagnose my problem, but he did it immediately and started the masturbation addiction treatment for it. I am quite benefitted and I would surely recommend to consult him if anyone facing the same issue. I was suffering from body weakness from 2 months. It affected my day to day activities. One of my friend reffred Dr Valsana. She is a famous doctor and has a broad knowledge in the field of Ayurveda. She helped me resolve my issue. I thank him for treating me so patiently and resolve my problem within short time. the best thing I experienced about him is that She prescribe the required and limited medicines which effect immensly. The testicular pain was increasing day by day. Someone from the office, referred us that Valsala. I had lost hope, but the testicular pain treatment given by the doctor has helped me regain my confidence. She is not just friendly, but also is very motivating. He has in depth knowledge and ensures that he explains the problem in detail. It has been quite some time that i was suffering from shortness of breath.As one of my neigbour referred, I chose to consult Dr Valsala. I had lost hope, but the treatment given by him has helped me regain my confidence. The overall treatment process was very relaxing. I am quite benefitted with this treatment. The lab in the Dr Valsala P Ayurvedic Clinic was very clean and well managed. I was quite concerned, as my health was degrading day by day, but due to Dr Valsala.P and the fungal infection treatment , i feel much better. I Thank him for the treatment which ebnefitted me to a great extent. During the sensitive bladder treatment, Dr Valsala supported me a lot. I consulted a number of specialists but the way she treated me was the best. Hygiene is very important, and I must Dr Valsala P Ayurvedic Clinic was extremely clean. I found the Clinic itself quite pleasant. Thanks to Dr Valsala for the male sexual problems she gave me has given brilliant results. My previous experiences were not so good, but he has completely changed my opinion as he is very helpful and humble. Then I consulted him. I owe him a big thank for the treatment. I am very happy with the treatment I got from dr Valsala.P for Back Pain problem. she is the best doctor for the treatment of such problems. I am very benefitted with her treatment. 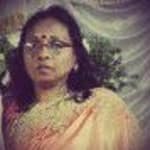 She can be consulted at Dr Valsala P Ayurvedic Clinic in Chennai. Your treatment protocol is very nice. It is very happy to note that with your treatment most of the patients are satisfied. Really you are doing a favour to the ailing humanity. Dr. Valsala is an excellent doctor. She prescribed exact medicines for my upper and lower back pain due to disc prolapse. I got immense relief and excellent results. I found the answers provided by the Dr. Valsala.P to be very helpful. Thanx alot mam. I get acute pain in my right temple. This can happen any time of the day or night. I take Suminat 50 mg tablet and it goes in 20 minutes. This has been going on for last 6 months. My Doctor says its Migraine. Is there is no other solution. For migrane ayurveda can help to come out from pain very simple methods but patient to be coperative to follow the advice .Do not expect miracle. Apply sandal paste "chandanam "in forehead daily this will help. I am suffering from pain under foot. It is usually in the morning after I wake up or if I sit or lie for a long time.Please advise. Try to keep foot a little higher position using a pillow while you laying in bed. Use dwantharam thilam warmly on legs one hour before bath on daily basis. This will help. Kidney Stones: What You Need To Know? Many people suffering with kidney stones. Kidney stones are usually smaller in size. Kidney stones are stored in hard deposits inside the kidneys. Generally, mineral and acid salts are made of kidney stones. Kidney stones are due to various reasons. However, if the urine is concentrated, it helps to grind grains and it becomes a rock. The signs and symptoms of kidney stone are not generally understood until the urinary tract goes to the stone. Likewise, signs can not be understood even after being stone. * pain on the back, both sides and under ribs and pain in the stomach and groin. * pain while leaving urine. * the urine color becomes pink, red or brown. ** those who eat high protein, high sodium and high sugar foods. Ayurveda offers good treatment for kidney stones and in early stages easily curable. I have Fungal infection in jock and buttock too much itchiness ringworm appear with red rashes. Wash with triphala choornam the itching part and apply doorvadi thailam daily for one month. This will help. Hello am 21 yrs. I have send this question earlier. I feel very tired and sluggish. Every time I get up frm bed or chair after a particular amount of time ,I get light headed and dizzy and I have to hold onto something for a few seconds in order to regain my strength. I am not anemic. Am healthy too. Recently I have a cold and that's all. I have no other problem. And another aspect is the weather is very hot so I thought that may be the reason but still even by sitting at home I feel tired and am unable to complete my piled up work too. The main problem is the dizzy spells I have every morning I wake. I would be great if the reply is without any further doubts since I can't reply again .thank you. My 17 year son has acne problem since 12 years of age. Moreover they r tiny boil like structures without pus on face and body. His face is getting darker & even neck & hands. Tried homeopathic cream on face but no improvement. Pl suggest medicine. Skin on face is tanned. Wash the face with warm water and avoid soap. Wash with boiled and cooled tribala choornan water and apply kumkumadi thilam daily on face. This will help. Hi, I am not feeling energized enough for physical intimacy since few months now. And also the interest level has gone down drastically. But at the same time I understand that it is necessary for happy married life. Please suggest. Take aswagandharishtam 3oml daily morning and evening after food and aswagandhadileham 15 gms daily night at bedtime followed by a glass of milk. Give me feedback after one month. Hi this question is for my wife. She has hair fall prob since 5 years and we have noticed that now a days after hair fall no new hair come in place of the old one. Please give solution and we also went to a skin specialist he gave her two medicine one is of calcium and the name of the one is Keraboost which contains Biotin and one Minokem lotion, this lotion has no result on her and increase hair fall. She used this for two month after 2 month when we go to doc he again prescribed us to continue medicine. Age 24. Hair fall is due to several reasons . Increased body heat,problems due to chemical reactions of water,not adjustable with climate change ,deficiency of iron in body,and due to dandruff,mental tensions etc etc. reason to be identified and take treatment then only it is solved. be free and try good coconut oil on head before bath daily basis and take drumsticks leaves juice .This will help. I want to ask for my mother she is suffering from itching & heavy dandruff in her head and some doctor told to us they have suffering from fungal infection. So kindly suggest me wht should I do. Try dordorapatradi cocunut oil on the hair daily before bath and wash the hair with tribala power. This will help. Many of the young people are struggling with tiredness due to routine work. Many complaining about getting so tired and feeling so bad. Instead of trying with neurobion tabs and ready-made healthy drinks which are not good for health there is an easy way to feel healthy. Every body know about drumstick. Drumsticks seeds are available in ayurvedic shops. Daily night take 10 nos of these seeds after taking it outer layer. It will act as a healthy vitamin supplement and keep away your tiredness. Ones in a week taking drumsticks leaves juice one tumbler also keep you healthy and active. Drumsticks are rich in vitamin a and c.
That's why drumsticks are always added in indian dishes mainly in sambar and avial.